Today it is virtually impossible to get by without Internet access. 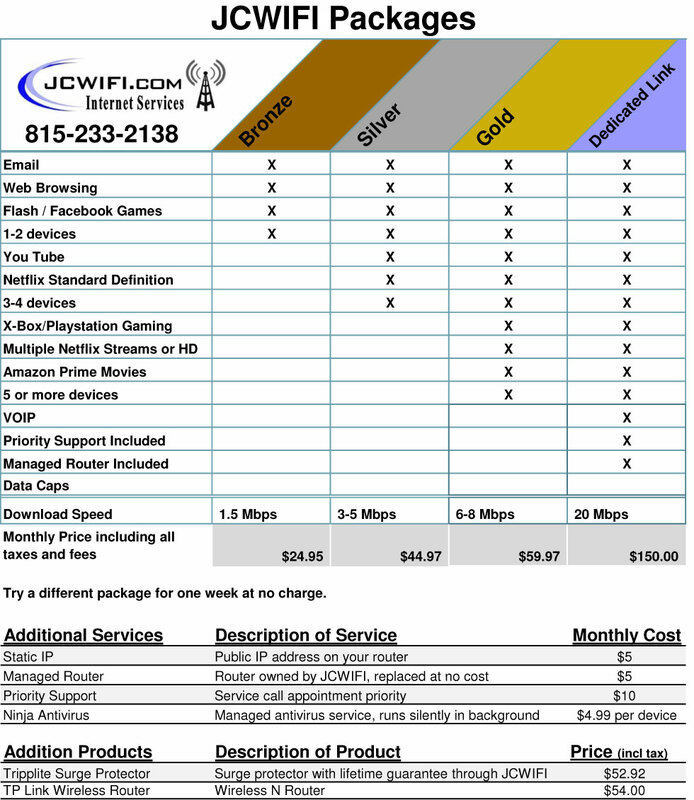 JCWIFI knows our customers have different access needs, and we have several Service Packages to make sure you can get where you are going. Automatic rollover if primary provider is down ……We can provide managed router for automatic Failover for $5/mo if customer does not currently have one. $99.95 per month if activated. Automatic Texting alert when primary connection fails. (2) Sustained speed - Not "up to"